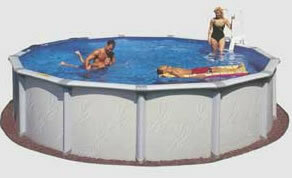 Here is where you can find swimming pool contractors, sales, cleaning, and repair services for Nevada County, CA. Below is a directory with links to their web pages where available. This free business directory is provided by Nevada County Commerce. Do you have a business that should be here - but it isn't? Is there some information listed here that is not correct? Just provide us with the information, and the next time we update the directory we will include your business name, phone number, and website address. This service is provided at no charge. The update link is at bottom of the directory.